hd00:24Video FullHD - A beautiful. Bermuda-rigged sailboat rides peacefully at anchor in a lightly foggy harbor. 4k00:12Gocek, Turkey, 2015. 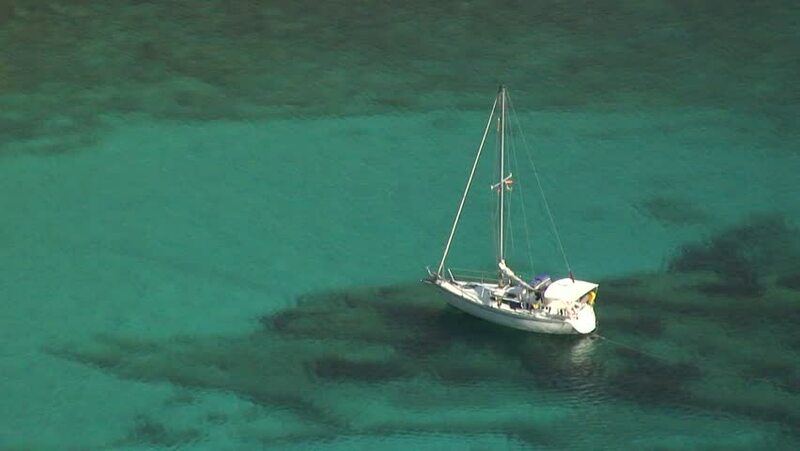 4k aerial footage of the sailboat in the clear blue sea. The camera moves away from the sailboat. 4k00:20Aerial view yacht sailing in opened sea. Drone view to sea boat floating in sea. hd00:17Boat floating over the turquoise sea. Tilt- shift time lapse.